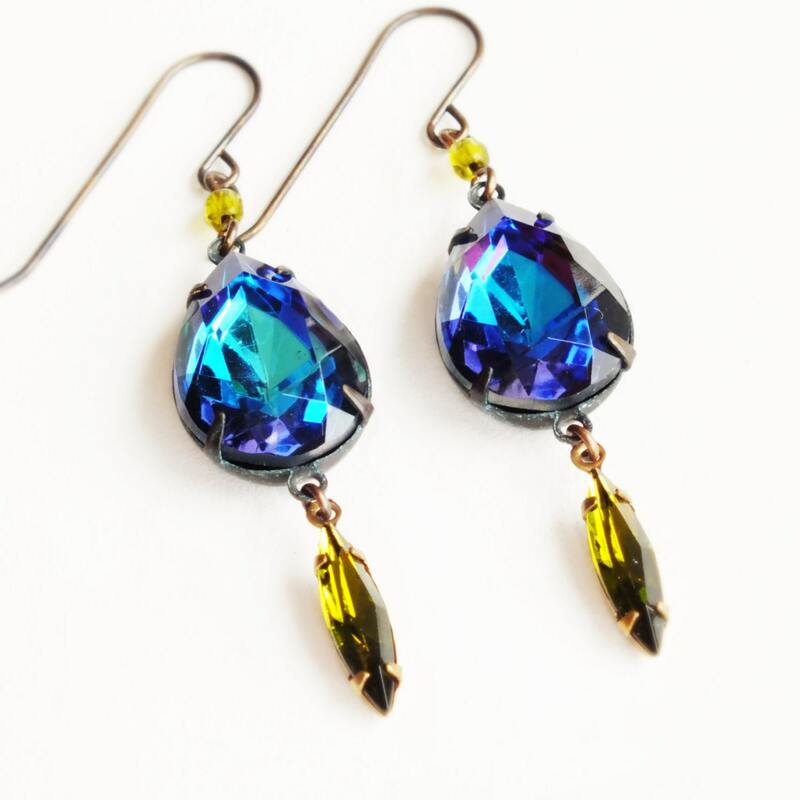 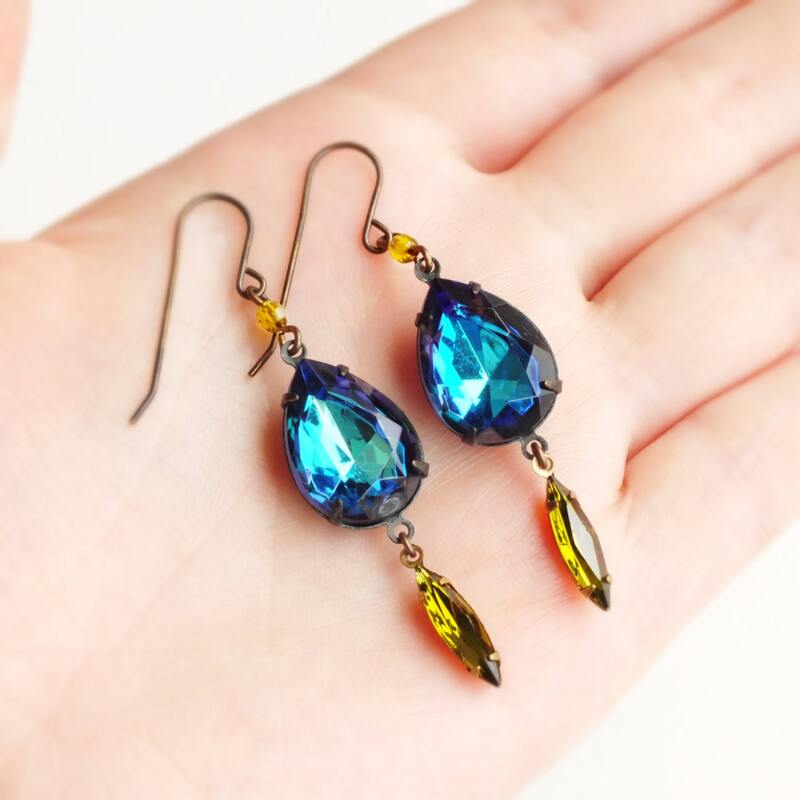 Handmade iridescent glass earrings with vintage blue and purple rhinestones. 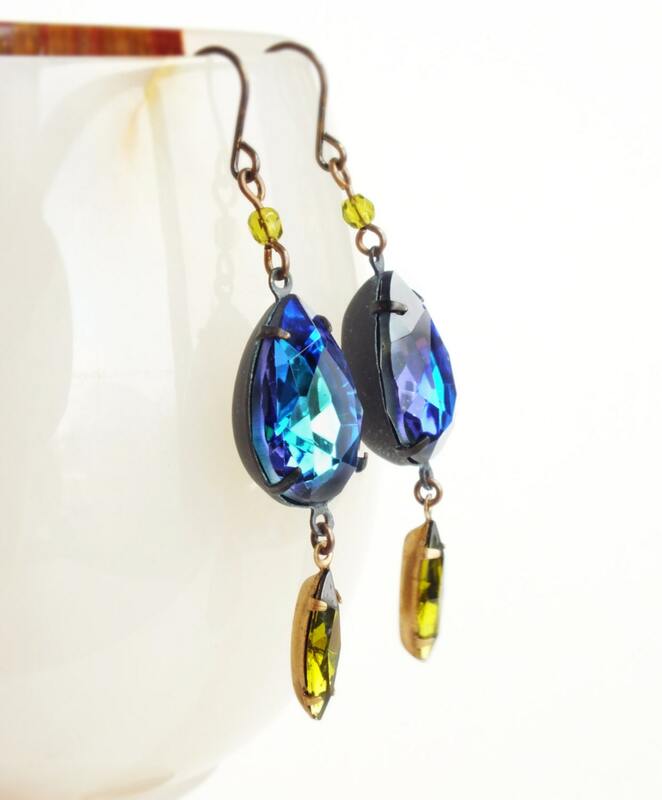 Oxidized brass designer ear wires and settings made in the USA. 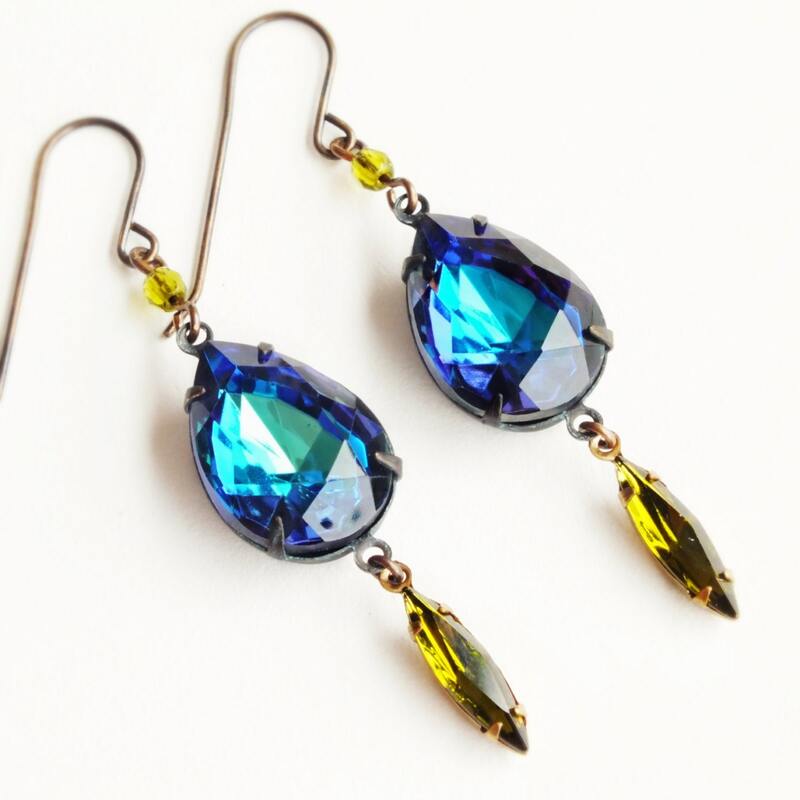 Made with gorgeous genuine vintage glass crystals in a colorful palette of violet, blue and turquoise called 'Bermuda Blue'. 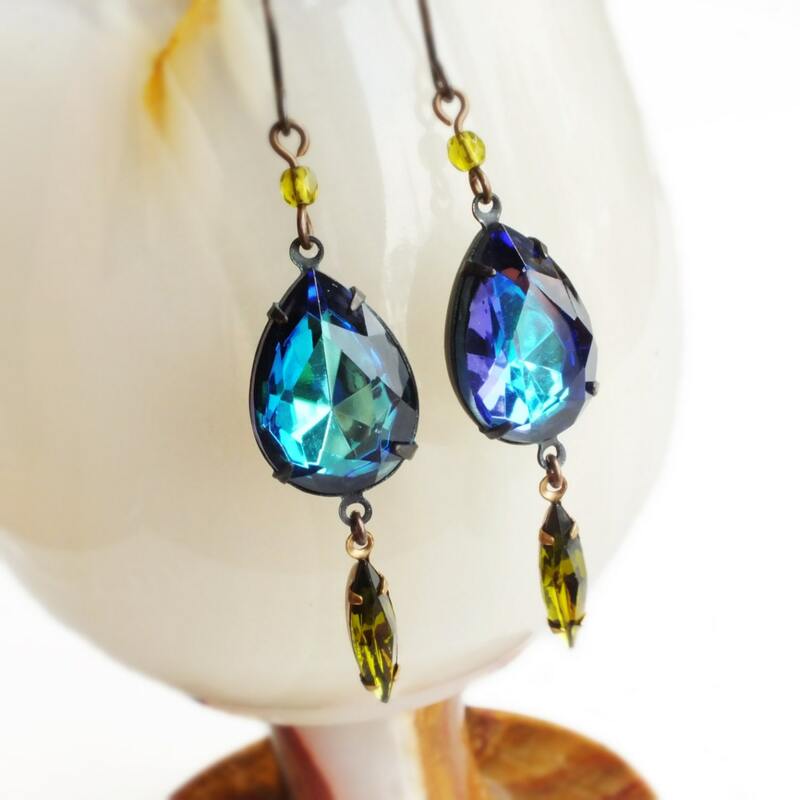 I set them in dark matte brass pronged frames adorned with vintage olivine green navette rhinestones.